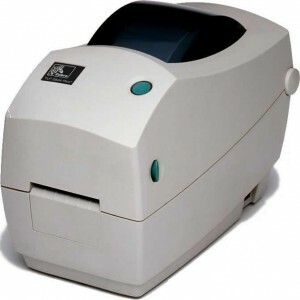 Print up to 2.2 inch-wide (56mm) labels with this thermal transfer desktop printer. Best-in-class label throughput increases productivity with faster formatting and fast first-printed label speed. Zebra’s TLP 2824 Plus™ ultra-compact desktop printers provide a best-in-class solution for small-label applications where desktop space is constrained. Don’t let its size deceive you, the 2824 Plus printer packs a variety of optional features—including a peeler dispenser, precision cutter, upgradeable memory and Ethernet connectivity—into a small footprint. This ultra-compact, easy-to-use direct thermal printer is a cost-effective solution for printing 2.2 inch-wide (56mm) labels with a shelf life of less than one year.